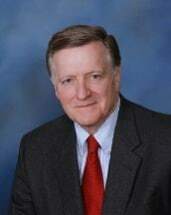 Stephen M. Cooper, a lifelong resident of Geneva, Illinois is one of the most experienced and distinguished litigation attorneys in the Chicago area. His vast and varied trial practice since 1973 has included extensive experience in many different aspects of civil, criminal and matrimonial litigation. Following his graduation from the University of Wisconsin, Stephen served in the United States Peace Corps for two years before attending law school at the University of Illinois. While in law school he earned the prestigious distinction of becoming a member of the Order of the Coif for academic achievement. Stephen received his law degree in 1971 and was admitted to the practice of law in Illinois that same year. He then served as a judicial law clerk for the United State Court of Appeals for the Seventh Circuit for two years before returning to his home-town of Geneva, Illinois to enter private practice with his father, Richard L. Cooper. Stephen was admitted to the trial bar for the U.S. District Court for the Northern District of Illinois, and is admitted to practice before both the Seventh Circuit United State Court of Appeals, the United States Supreme Court and the Illinois Appellate and Superior Courts. He has served as member of the Illinois Pattern Supreme Court’s Jury Instruction Committee, a mediator in the Kane County mediation program, and an Instructor for the Illinois Public Defender trial practice program. He has also testified as an expert witness in attorney malpractice cases and fee disputes. Stephen continues to concentrate his practice in civil and matrimonial litigation.